This week sees Soho Create festival return for its third year running, once again taking over London with a packed schedule set against the backdrop of Soho, one of the city’s most well known creative districts. Soho Create is the biggest collective conversation about creativity in the country, bringing together top creative minds for a week of talks, workshops, open houses and pop-ups. The Mill will be once again supporting the festival throughout the week with talks, demos and an open house event. The Mill’s recruitment team will be at the Talent stand all week offering the chance to experience VR demos from Google Atap, Garage magazine app as well as the Guardian '6x9 – a virtual experience of solitary confinement’. Claire Anderson, Head of Talent at The Mill will take part in a Future Talent panel on Wednesday discussing how recruiting talent who will transform your business is a growing and recurring challenge. Later that day, The Mill’s CCO Pat Joseph and Peter Moore Founder of HMKM will then discuss ‘Creative Spaces’ and how the space you work in can directly correlate to your creative output. Wednesday also sees The Mill’s Interactive Team take part in an open house morning, encouraging visitors to experience demos of The Mill's latest virtual reality projects, giving people an insight into immersive and VR worlds as well as discover what goes into the UK’s most advanced and creative new-tech experiences. On Thursday, Soho Create will also be taking over Lights of Soho’s monthly music industry night Modern Love, which sees leading figures in music industry share the songs that have influenced them or shaped their careers. For this takeover, The Mill’s VFX Supervisor Mike Chapman will discuss how The Chemical Brothers 'Wide Open’ promo was brought to life with a surprise guest appearance from 3D printed dancer Sonoya Mizuno. 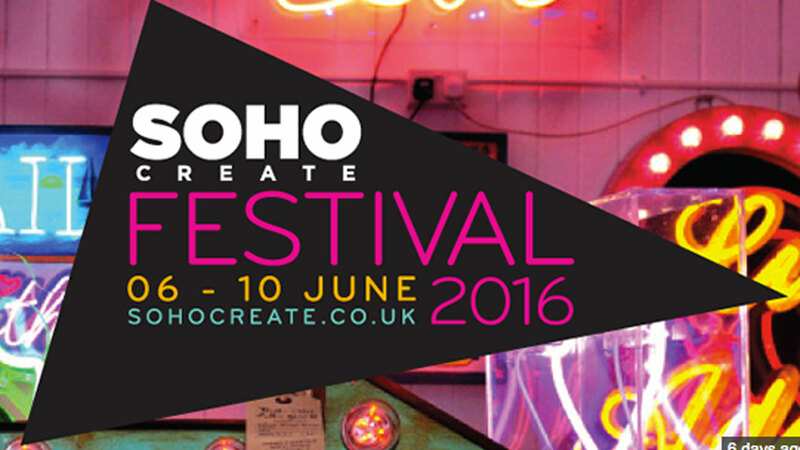 For more information and to see the full festival line up, visit the Soho Create website.